Mohammed EL Houadfi was born in 1950 in Fes, the imperial city of Morocco. 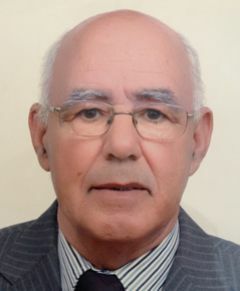 He graduated in 1977 with a DVM from the Agronomy and Veterinary Institute (IAV Hassan II, Rabat). He started his career as a veterinary lecturer at IAV Hassan II. In 1979 he was admitted to the University of Liverpool and obtained an MVSc degree in avian medicine in 1980. Returning to Morocco, he established and headed the Avian Pathology Department. In 1986, he was awarded his PhD under the supervision of Professor RC Jones of Liverpool University. In 1990, he was appointed Professor in avian medicine at IAV Hassan II. In 1997 he founded and headed the Moroccan Association of Avian Pathology (AMPA), which became a branch of the WVPA in 2002. He played a key role in the organization of WVPC 2009, held in Marrakech, and was responsible for the scientific aspects of the Congress. During his 38 years involvement in poultry diseases, Professor EL Houadfi has made major contributions to the development of poultry production in Morocco. In addition to his academic work, he served in several commissions of the Ministry of Agriculture for the establishment of poultry regulations, and the control and prevention of poultry diseases. His efforts were recognised by the Kingdom of Morocco, and he was awarded the Order of the Throne in 2007. In 2008 he received from the Moroccan Inter-professional Federation of Poultry (FISA) the "Prix du merite avicole" for his rich contribution to education and research in poultry. Professor EL Houadfi has supervised over 100 veterinary theses. He has published papers on poultry diseases in Morocco, covering topics such as EDS, NDV, IBV, ILT, avian coryza, swollen head syndrome and drug resistance. However perhaps his most significant contribution was the isolation of the Moroccan G strain of IBV in 1983, which was found later to be the first isolation of the 793B genotype. Mohammed is married and he is father of 2 daughters (Meryem and Zayneb) and 2 sons (Abdessalam and Othman). He is very fond of travelling and discovering different world cultures.